Wee Kids Mazes is an educational app for kids 4-7 years old. As the name suggests, the app has mazes for kids to solve, in a fun format. Let your kids zoom a rocket ship through space to find a star by sliding the rocket ship with their fingers through the maze. Higher level mazes allows kids to maneuver the ball through the maze by tilting the phone or tablet where you want the ball to go. What can kids get from it? Mazes have been credited in boosting critical analysis, cognition and logic skills from its players. According to an article by Ken Stiles, a maze fan, mazes can be quite challenging and they require sharp thinking to solve. If you try a strategy that doesn't work you have to employ a new one. This develops a winning mindset for victory that effectively works side by side with increased analytical skills. Ken Stiles further explains that maze players need an orderly, structured and deliberate approach to solving the maze is required. This instills in the person working the maze with disciplined thinking and a strategic plan. The app is pretty straightforward and simple for young kids. They just click on the maze icon and a maze starting from the easiest level will appear. Some mazes will have the kids maneuvering the maze by sliding their fingers while some mazes will have them tilting the phone/tablet to maneuver. There is no time limit in solving the maze, encouraging kids to solve the maze for as long as they want. Kids can also skip the maze if they get stuck in it and can't find their way. Skipping will take them to another maze. 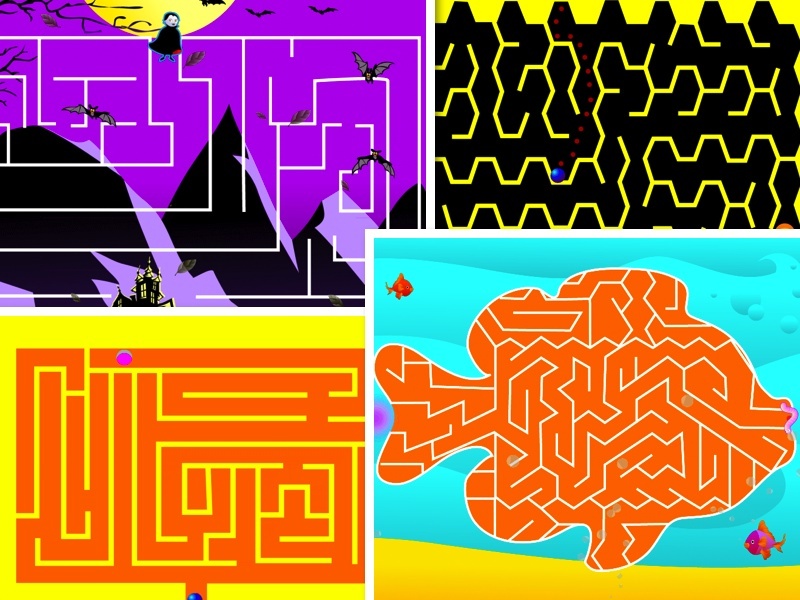 The mazes are designed in a fun and interesting format. From a vampire finding his way to his haunted house, a fish to his worm to a prince to his princess, among many others. The only thing I would love to see is the save function. It doesn't have one, so when you re-open there is a chance you might be playing the same maze you have already finished. But there are enough mazes to go by. Wee Kids Mazes is a very good and entertaining app for kids. It keeps them interested with the fun and bright visuals while developing their analytic and logic skills. Hope you can let me know how your kids are enjoying Wee Kids Mazes. Thanks! Disclosure: This is a sponsored post written by TheGoMom for Ebooks-Kids. Sponsorship does not compromise the integrity of the post.